Here is a short list of nonprofit organizations that help you find resources and stay connected to local and national arts initiatives. AFTA is a national advocacy organization which offers services and programs, including a Job Bank where you can search for available jobs in the arts. 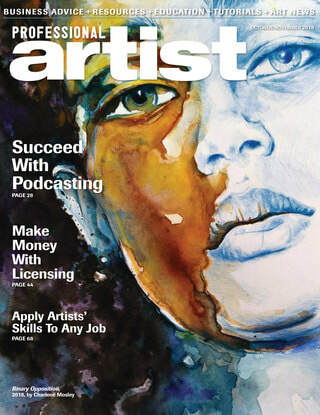 The National Arts Marketing Project, a program of AFTA, now has its own website, www.artsmarketing.org. CAC is a government agency whose mission is to advance California through the arts and creativity. It encourages widespread public participation in the arts. The "opportunities" section lists jobs in the arts in California as well as calls for artists for juried competitions and public art projects. CCI is based in Los Angeles, with an office in San Francisco. It was launched in 2001 to promote knowledge sharing, networking, and financial independence for artists and creative entrepreneurs. CCI provides business training for artists and has published an excellent handbook, Business of Art (see books). NEA is a federal agency and the largest funder of the arts in the U.S. Their website describes national initiatives in a wide range of artistic fields. There is also a useful listing of state and regional arts organizations. While their job listings focus primarily on the East Coast, NYFA is national in scope.They provide the most comprehensive and up-to-date listings of awards, services, and publications for artists. Click on NYFA Source to get a list of funders for arts projects. These two contemporary books present basic career principles summarized for the digital age. Kleon has a great sense of humor and includes funny pictures, graphic illustrations, charts and quotes and cartoons that make his ideas accessible. He provides stimulation, encouragement, and validation, especially for artists who are just starting out. 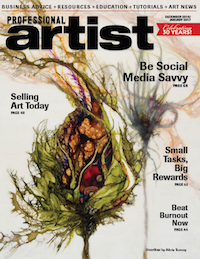 Crawford is the go-to expert on all legal matters that affect visual artists. 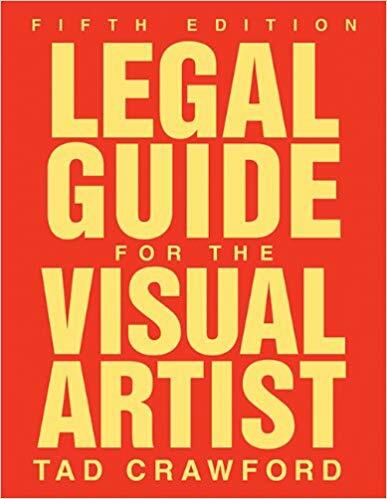 He explains both the changing nature of the legal landscape and the impact of the laws on artists. Chapters address copyright and contracts, taxes, studio leases, sales by galleries and agents. Use this book when you need to understand the laws that affect you. Up-to-date and good on the technical stuff. Has helpful chapters on websites, business cards, how to find residencies and grants, sample invoices and sample gallery representation agreements. This classic is still an excellent resource for job hunters and career-changers, with up-to-date advice on how to approach the process of looking for work. The 2009 edition begins with chapters on "finding a job, even in hard times." This is Cameron's most thoughtful book, full of ideas for artists trying to recover their spirit and purpose. At the end of each chapter there are suggested exercises that actually work. This book is a real treasure in a field dominated by "self-help" books that don't help. 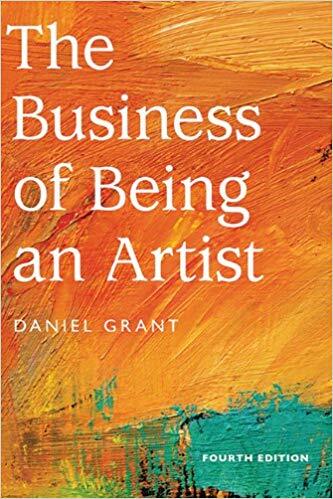 Canfield offers intelligent, practical advice organized into principles that can be used by artists and creative entrepreneurs trying to develop their careers. In this beautifully written book, American painter and teacher Robert Henri describes what happens when "the artist is alive in any person." His deep understanding of the artistic process is a revelation for artists and art lovers. Originally published in 1923. An excellent resource for understanding the differences between the left and right hemispheres of the brain. Even better, Pink believes that the future belongs to creative people, especially those who are able to integrate the two hemispheres into "a whole new mind." 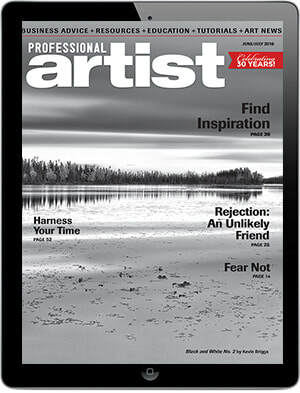 Warner offers hope and help for artists who feel stalled and want to rekindle their passion for making art. Chapters on "Strengthening Your Creative Resolve" and "Recognizing Yourself as an Artist" speak to creative people in every field. 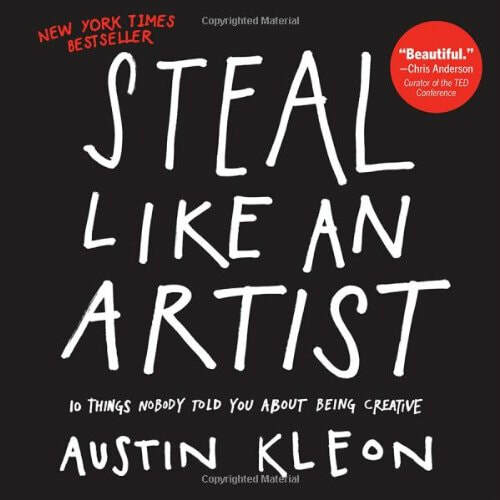 Includes chapters on marketing and self-promotion, business and financial planning, legal issues for artists. The appendix provides an up-to-date list of websites, organizations, books, articles, and other resources.